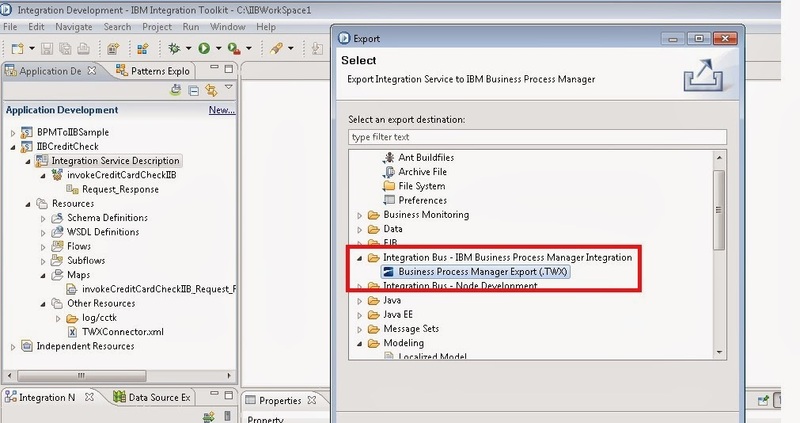 IBM Integration Bus is IBM's strategic integration product for Java, Microsoft .NET, and heterogeneous integration scenarios. 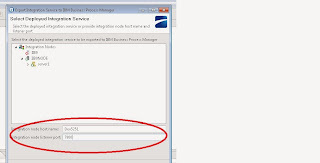 It represents a significant evolution of the WebSphere Message Broker technology base, and includes new features such as policy-based workload management, business rules, and integration with Business Process Management (BPM) and Microsoft .NET. It also incorporates WebSphere Enterprise Service Bus (ESB) use cases, and WebSphere ESB capabilities will be folded into IBM Integration Bus. Credit card check is a simple process application which will take credit card details from user and checks the card details and displays response back to end user. Used BPM coaches to get card details from User. Displays card status back on coaches. Create a toolkit with name “ CreditCheckTK “. 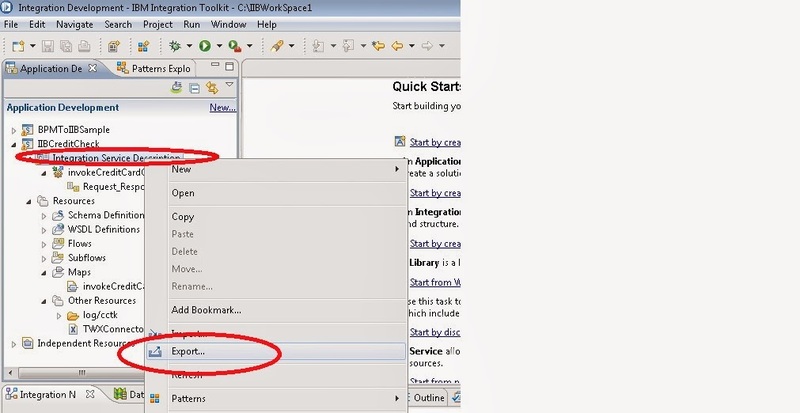 Credit the business objects in tool kit as shown below. Create an Integration Service with name “invokeCreditCheckIIB”. Create input and out variable for this service. (invokes messageflow in IIB). · Create snapshot with name “creditCheckTKv1.0”. 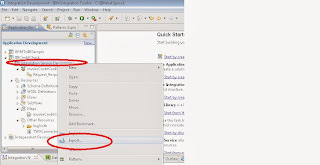 · Export the snapshot as shown below. Click on create new Integrationservice Give the name as “IIBCreditCheck “. Select the .twx file(which is exported from BPM) and Click on finish. 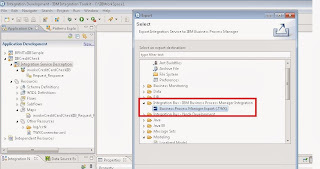 Drag the Mapping node to msgflow and .Create the mapping between two business objects. And Implement logic for CCNo validation with If and else options in XSLT. 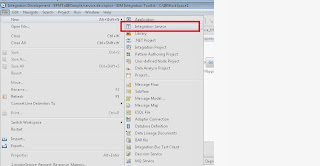 Right Click on Integration Service Description Export updated .twx file from IIB. 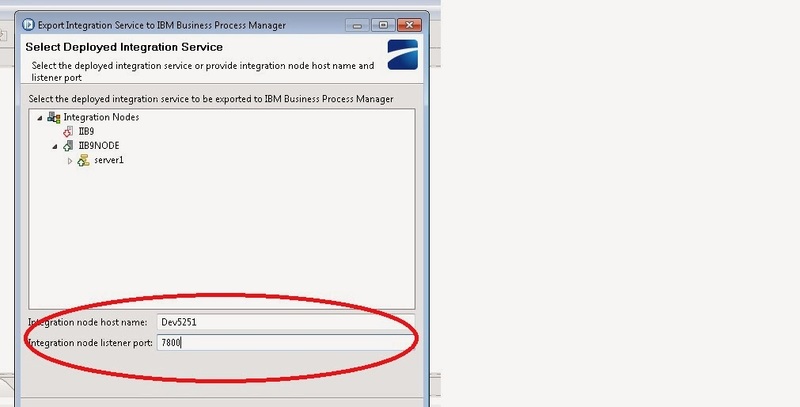 Go to the Implementation and select “invokeCreditCardCheckIIB” then observe “webservice Integration action is added and configured to IIB flow”. Create Usertasks as per our requirement . Create and Add Human services for usertaks. 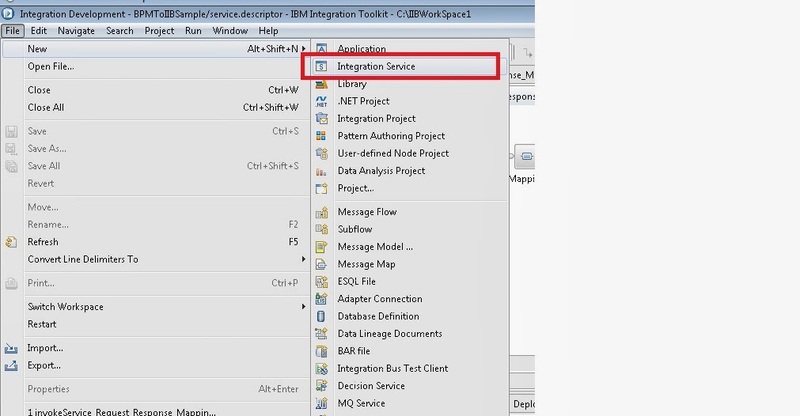 Use the System Task and Add “invokeCreditCardCheckIIB” integration service as shown below. Click on run button.Then it will display a coach to enter Card details .Enter card details and click on ok button. Then will call message flow in IIB and map Card details and validates credit card no. Displays card status back to BPM flow. Please share you valuable suggestions and feedback to my mail id"mdondetisbit@gmail.com" to improve myself. Please post any issues/query’s related to BPM,WODM and DATAPOWER to "mdondetisbit@gmail.com"